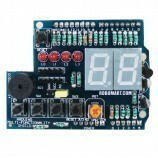 This Joystick module comes with the support to add Nokia 5110 LCD and nRF24L01 module interface. 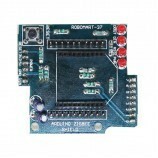 You can easily develop your Joystick games, and even communicate each other with wireless nRF24L01. Since it is communicating in wireless mode using nRF24L01 so it is having on board SPI Pin outs as well as I2C Pin outs. 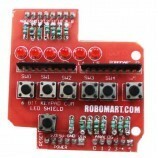 These pin outs also helps it to easily get associated with other processors which helps to develop a user friendly environment. 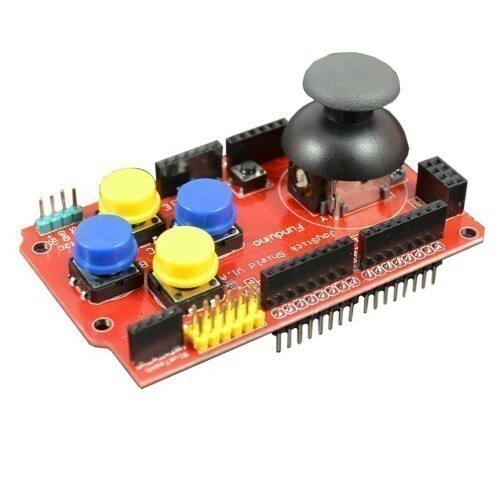 Also Searched as: arduino usb joystick, arduino joystick library, arduino joystick projects, arduino analog joystick, arduino joystick servo, arduino joystick code, arduino joystick motor control, arduino gamepad.